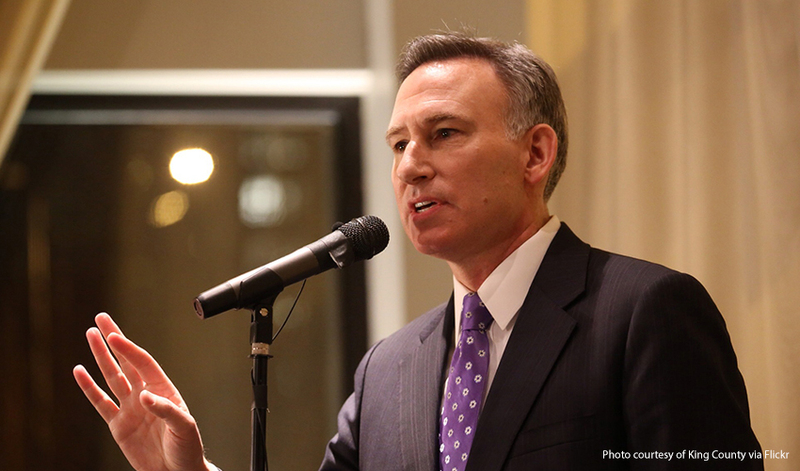 Kirkland, Wash. - King County Executive Dow Constantine will deliver the Lake Washington Institute of Technology (LWTech) commencement address on Friday, June 16, 2017 at 2:00pm at the Lynnwood Convention Center in Lynnwood, Wash.
Kirkland, Wash. - Ten Lake Washington Institute of Technology (LWTech) students were recently honored by the Washington State Hot Rod Hall of Fame (WSHRHF), at their annual awards banquet dinner, each receiving a scholarship for $2000. Kirkland, Wash. - Two games created by Lake Washington Institute of Technology (LWTech) students will be showcased at this year's Power of Play Conference and Competition on April 26, 2017. The games, Tales of Lunea and Black Forest Ham, were developed by LWTech Digital Gaming & Interactive Media students, and are featured on the Power of Play Indie Expo Showcase webpage. Kirkland, Wash. - Lake Washington Institute of Technology (LWTech), the only public institute of technology in Washington State, is offering exciting and innovative summer camps and programs for children and adults. Back by popular demand, LWTech will hold two STEM summer camps designed for middle and high school children. 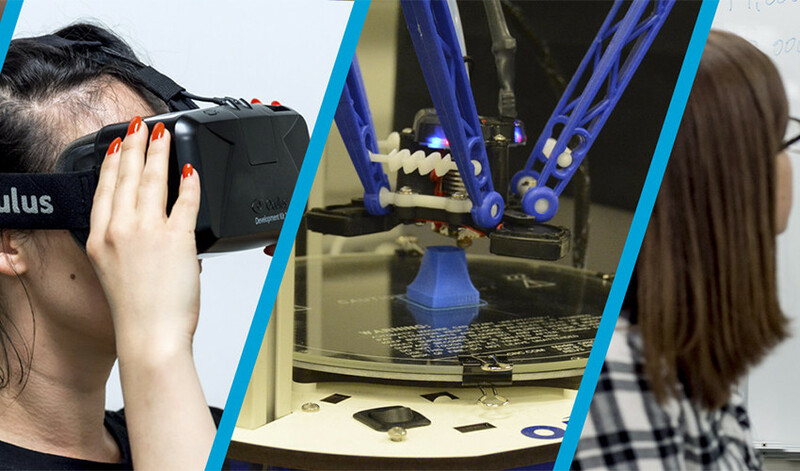 In addition to the STEM camps, LWTech will also offer several summer programs for adults and high school students in the areas of Multimedia Design and Production (MMDP), Engineering and Architecture, and Fast Track Academics. These programs feature several new and innovative courses, such as Tiny House Design, Tiny House Building, Computer Aided Design (CAD) Competition, and much more. 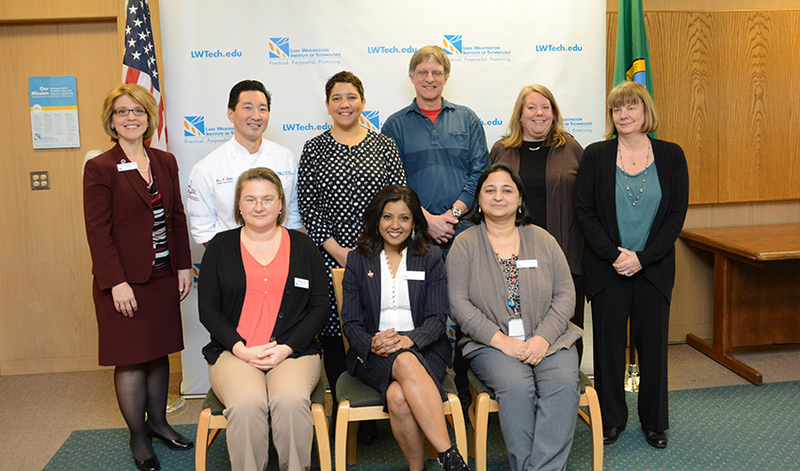 Kirkland, Wash. - The Board of Trustees of Lake Washington Institute of Technology (LWTech), have awarded tenure to six faculty members: Donald Dale, Priyanka Pant, Eric Sakai, Dr. Aparna Sen, Alexandra Vaschillo, and Stacy Woodruff. Tenure-track faculty are highly skilled educators practicing modern pedagogy, current in their fields, innovative leaders in their programs and the college, and worthy ambassadors to industry and our community at large. Only a peer-driven process like this one can ensure that the award of tenure shall signify the achievement of excellence. Kirkland, Wash. - Two students from Lake Washington Institute of Technology (LWTech) have been recognized for their academic achievements by two national organizations, Chris Osler has been named to the Phi Theta Kappa All-Washington Academic Team. Phi Theta Kappa is the International Honor Society for two-year colleges. Lynette Clemens was recognized as the Student of the Year by the Washington State Chefs Association (WSCA), a local chapter of the American Culinary Federation (ACF). 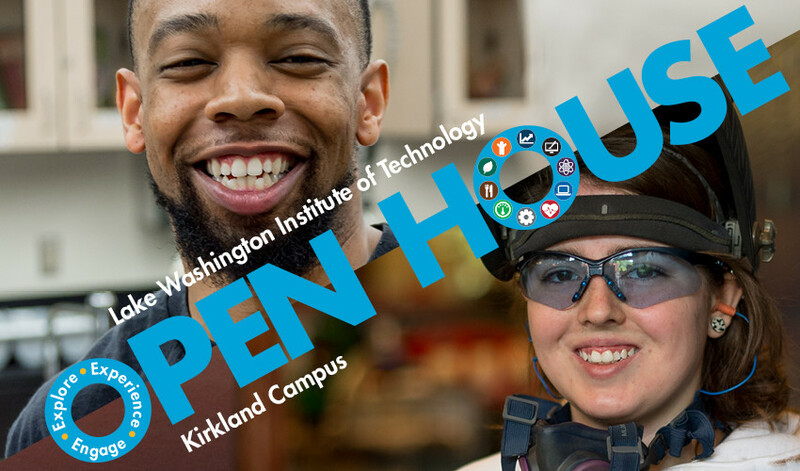 Kirkland, Wash. - Lake Washington Institute of Technology (LWTech), the only public institute of technology in Washington State, is hosting its annual Open House, Wednesday, March 1, 2017, from 5 p.m. to 8 p.m. at its Kirkland campus located at 11605 132nd Ave. NE. All ages are invited to attend and participate in hands-on activities and interactive demonstrations. Kirkland, Wash. - The Seattle area is a hotbed of technology and design, and in response to industry demand, Lake Washington Institute of Technology (LWTech) has introduced a series of new courses to its Multimedia Design and Production (MMDP) program: The User-Centered Design certificate program and Smartphone Filmmaking and Smartphone Editing. Kirkland, Wash. -Lake Washington Institute of Technology (LWTech) has started a new math and English placement process for students looking to enroll in college. The new math and English placement assessment free of charge and provides calculators for students to use. Students can sharpen their math skills in preparation for the exam by going to the Washington Mathematics Assessment and Placement website. The traditional test used for placement, called a Compass test, was phased out November 1, 2016. Kirkland, Wash. - Lake Washington Institute of Technology (LWTech), the only public institute of technology in Washington State, has created a new process to simplify the college admissions process to make it easier for students to enroll in college. The process includes three specialized admissions coaches, available during business hours, who will guide potential students through the college admissions process from beginning to end. Kirkland, Wash. - Lake Washington Institute of Technology (LWTech), the only public institute of technology in Washington State, has more than 30 Digital Gaming and Media students putting the final touches on games to exhibit in booth #6219 at PAX West. PAX West, one of the largest gaming events in North America, will be held at Washington State Convention Center Sept. 2-5. Pullman and Kirkland, Wash. - Lake Washington Institute of Technology (LWTech), the only public institute of technology in Washington state, and Washington State University (WSU) have signed an articulation agreement that will allow LWTech students in architectural technology to transfer directly to WSU's undergraduate architectural studies program without having to apply as formal transfer students. Kirkland, Wash. - Lake Washington Institute of Technology (LWTech), the only public institute of technology in Washington state, has been approved by the Northwest Commission on Colleges and Universities (NWCCU) to offer an associate degree program in Computer Science Direct Transfer Agreement/Major Related Program (DTA/MRP) to students. Students can sign up for the Computer Science DTA/MRP program at LWTech and start in Fall quarter, 2016. The degree requires 90 credits and takes an average of two years to complete. Students graduating from LWTech with an associate degree are prepared to transfer as a junior to a participating four-year college or university to pursue a bachelor's degree. Information Session Scheduled for Wednesday, June 22 at 6 p.m. Kirkland, Wash. - Lake Washington Institute of Technology (LWTech), the only public institute of technology in Washington State, announces Science, Technology, Engineering and Math (STEM) scholarships for newly expanded transfer degrees at LWTech. 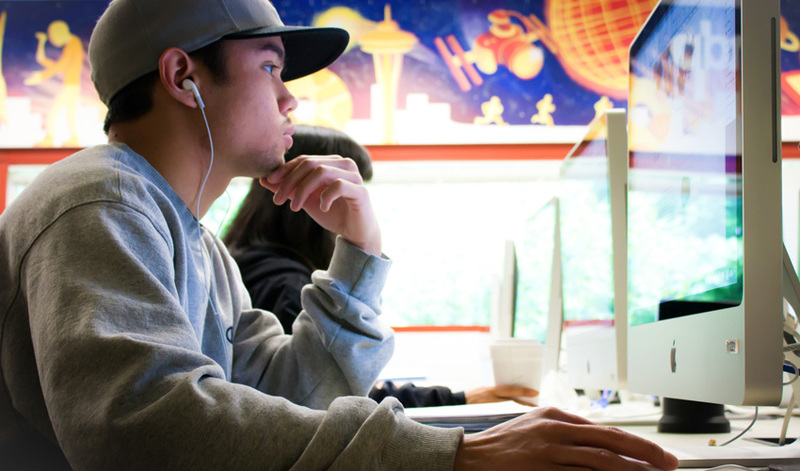 The first 10 high school graduates of Lake Washington School District, Northshore School District, Issaquah School District and Riverview School District to enroll in LWTech's specific transfer degrees will receive grants and scholarships to cover their first quarter tuition. This applies only to the following transfer degrees offered by LWTech: Associate in Biology; Computer and Electrical Engineering Associate in Science (Transfer); and Mechanical, Civil, Aeronautical, Industrial, Materials Science Pre-Engineering Associate in Science (Transfer). The Associate in Biology degree is ideal for students interested in earning transferable pre-med, pre-dental, pre-pharmacy, and pre-veterinarian credits and plan to transfer to a four-year university. Kirkland, Wash. - Lake Washington Institute of Technology (LWTech), the only public institute of technology in Washington State, received a grant from Achieving the Dream (ATD) to create new degree programs using high quality open educational resources (OER) in new degree programs. The initiative, which involves 38 community colleges in 13 states, is designed to help remove financial roadblocks that can derail students' progress and spur improvements that will increase the likelihood of degree and certificate completion.